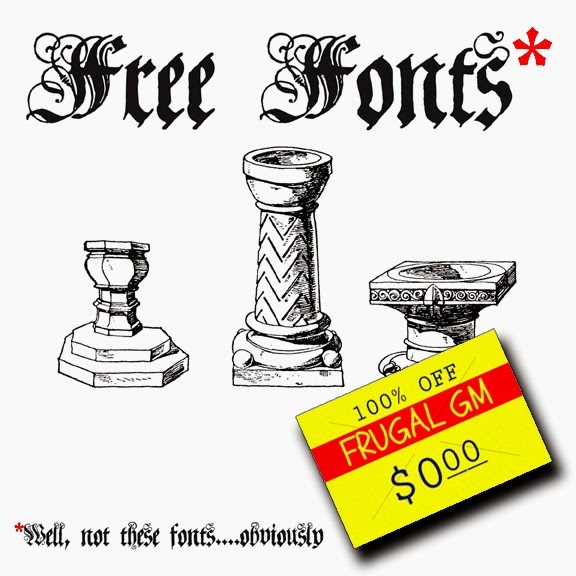 I've featured fonts quite a few times here at the Frugal GM blog. Everything to a font I made up to a cool collection here or there.....heck, I even featured a resource for creating your own font. A buddy of mine unwittingly lead me to this HUGE collection of fricken cool fonts. There has to be over 300 fonts represented. 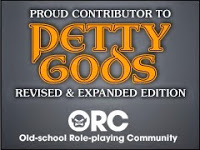 I'm sure not every font is a gem, and it is hard to go through them because the main page is a simple list of fonts, but a little poking around is bound to be rewarded with some great fonts to use in your game.